It’s a welcome return for the Spanish techno collective Drugstore to our Mantis Radio broadcast. We’ve music from House of Black Lanterns, Ohmwerk, Phat Chex, Makaton, Tempa’s latest with Nomine, Robert Hood remixing Contakt and more. 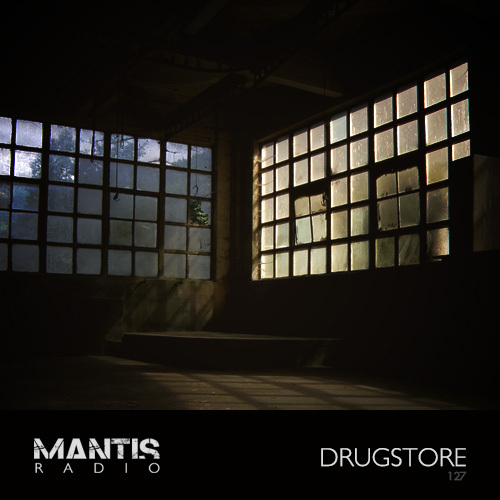 Drugstore first graced Mantis Radio back in March 2010, showcasing their sound on show #057 – delivering an hour of net label heavy techno. Drugstore began at the beginning of 2009 as a union of the Bayona Music Collective. One name, six people, one target, six visions of techno music. Since that session they’ve been pushing some great techno through their own digital netaudio imprint – Cicuta Netlabel. Plenty of which has made their way into my sets and shows. The label’s latest release from name-to-watch Hadji just the most recent example of the kind of quality these guys seek out and present. 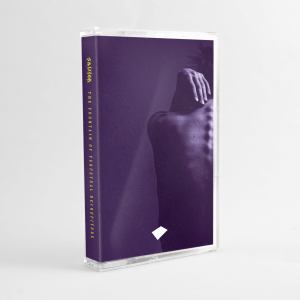 The Balkan producer’s ten track release Darkness In Casual World is an actual techno album – an hour(ish) journey through various textures and facets, with quieter and louder moments of pace and pressure – as an album should be. It’s built on an at times pure techno approach. Stripped to its core percussive machine music. Often techno albums end up being a collection of club cuts – on Darkness In Casual World, you get something that appears designed as a whole. You know what? Download and check it out for youself (as well as the label’s other 16, to date, releases). The label has played host to work from Voidloss, David Meiser, Hyo, Kwartz, Adam Kelly, Komabase, Hoth System together with the collective’s own work as Drugstore and if you’re not already following its development – consider this your heads up.